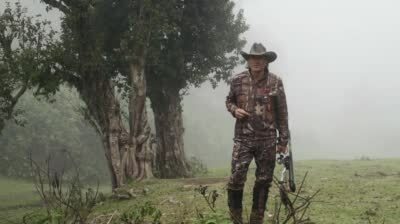 Host Jim Shockey travels the world to bring you the best hunting adventures around. The show takes you to the Alaska Yukon on a moose hunt, polar bear hunting by dogsled with the Inuit people in the Arctic, Cape Buffalo and crocodile hunting in Tanzania, gazelle and white bearded wildebeast hunting in Masialand and Muskox hunting in the Arctic with a muzzleloader. You just never know where Jim's next adventure will take you. Jim and Eva head to the Yukon where Eva hunts moose during the rut.